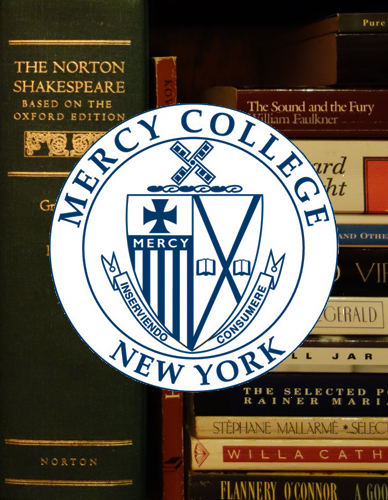 2018 Mercy College Graduate English Symposium: Call for Papers and Attendees. It’s that time again! This year’s Writing/Image/Text (W.I.T.) Graduate English Symposium will be held on Tuesday May 15 here on the Dobbs Ferry NY campus. May 15, in case it should matter to some of you, is the day before the School of Liberal Arts and the School of Education commencement ceremony. You can read about last year’s symposium here, if you’re interested. The symposium is a casual mini-conference at which interested MA English students or alumni gather to read aloud a scholarly or creative paper (a paper that you’ve written for any of your MA courses will do just fine, though it must be edited to no longer than 10 pages), as well as to meet some fellow grad students and program professors. Family and friends are welcome to attend too. And MA students interested in attending but not reading aloud a paper are of course welcome to do so. Graduate students and professional scholars often attend and read at local, regional, and national conferences, so this symposium provides a friendly small-scale introduction to the conference experience. And for anyone who reads a paper, it becomes a line-item you can list under the scholarship section on your CV (click here to read more about the CV). Anyone interested in attending, and in reading a paper, please let me know by sending a note as soon as possible to cloots@mercy.edu. I need to establish asap who all will attend, how many people will present, and how many overall to expect so that I can reserve the appropriate room space, order the right amount of catering (lunch provided courtesy of the MA program), and establish the necessary time-length for the entire event. Right now I have it as 11:00-3:00 but that could change depending on how many people respond. So please let me know soon, by mid-April at the latest, if you can attend, if you will read a paper, and how many people overall you will be bringing. Contact cloots@mercy.edu for answers to any questions you might have. This past Tuesday 5/16 we held our 2017 W.I.T. graduate English program symposium here in Maher Hall on our Dobbs Ferry campus. It was a lot of fun, and the audience got to hear a number of scholarly and creative works by graduate students and faculty. 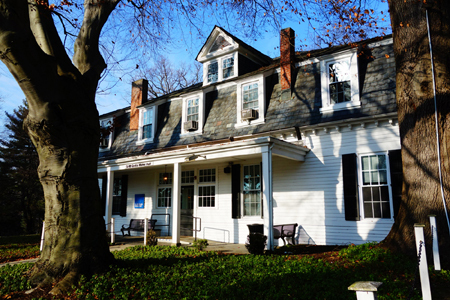 Maher Hall: home of the undergraduate and graduate English programs, English faculty offices, and the office of the Dean of the School of Liberal Arts; location of the graduate English symposium. For our first panel three graduate students presented scholarly work. Gloria Buckley read her piece titled “Virginia Woolf’s Orlando: A Landscape Love Story Transcending All Borders,” in which she discussed the love and relationship of Virginia Woolf and Vita Sackville-West as bespoken by Orlando. Lynn Leibowitz-Whitehead presented “Hemingway, ‘The Greatest Writer of His Time’; With a Little Help from His Friends: An Examination of Fitzgerald’s Influence on Hemingway’s Writing Career.” Lynn’s study traced out some of the ways that Hemingway’s success was resultant from invaluable support of others, support which Hemingway tried to obscure and erase after gaining fame. Matthew Christoff then presented his study “Symbolism in the Sierra Morena Mountains” in which he unpacked the deep relevance of events taking place in those mountains to understanding the meanings within Cervantes’ Don Quixote. The first panel, left to right: Dr. Christopher Loots (moderator); Gloria Buckley, Lynn Leibowitz-Whitehead, Matthew Christoff. For our second panel MA program alumna and current Mercy adjunct professor Carol Mitchell was joined by the Chair of the Dept. of Literature & Language, Dr. Celia Reissig-Vasile, and the Head of Undergrad English, Dr. Kristen Keckler, for a panel of creative non-fiction presentations. Carol read her work “On the Car Radio” in which she reflected movingly on her youth, family, father, and the passing of these things through the nodal points of songs heard on the car radio when young. Dr. Keckler then read her piece “Mixology, Metaphor, and Memory: What Bartending Taught Me about Writing,” in which she sounded out the (often hilarious) resonance between life behind the bar and life behind the the pen. Dr. Reissig-Vasile then concluded the panel by reading from her work “Where Oblivion Shall not Dwell,” as published in the collection Home: An Imagined Landscape. Dr. Reissig-Vasile’s piece involved stories of her experiences with movement, emigration, and all around change; with some of the many different referents for “home” that she’s known through her life. The second panel, left to right: Carol Mitchell, Dr. Kristen Keckler, Dr. Celia Reissig-Vasile. The Dean of the School of Liberal Arts Dr. Tamara Jhashi attended, as did the Associate Dean Dr. Richard Medoff and several other faculty members both from within the program (Dr. Sean Dugan, Dr. Boria Sax) and from other programs (Dr. Saul Fisher). Graduate students Tara Farber and Lynne Fortunado attended as well, and some friends/family of the presenters were present too. Overall the event evidenced high-quality scholarship and writing, and the presentations engendered much thought and good collegial conversation. On the practical side our presenters earned a line-item to include on the scholarship section of their CV which is an essential pursuit for anyone seeking a PhD or other professional path in higher education beyond the MA program. Thank you to everyone who attended. I look forward to seeing some/all of you again next year for the 2018 symposium, and encourage anyone who wasn’t there this year to consider attending in 2018 whether to present, or simply to gather with others from your scholarly community. 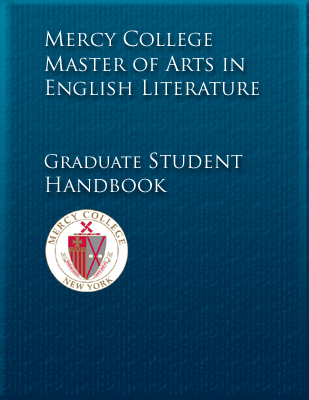 The 2017 Writing/Image/Text (or W.I.T) Graduate English Symposium will be held this year on Tuesday May 16th, the day before Commencement, in Maher Hall on the Dobbs Ferry Campus of Mercy College. You can read about last year’s symposium here on the blog. The symposium is just a casual mini-conference at which interested MA English students or alumni gather to read aloud a scholarly paper (a paper that you’ve written for any of your MA courses will do just fine, though it must be edited to no longer than 10 pages), as well as to meet some fellow grad students and program professors. Family and friends are welcome to attend too. Graduate students and professional scholars often attend and read at local, regional, and national conferences, so this symposium provides a friendly small-scale introduction to the conference experience. And for anyone who reads a paper, it becomes a line-item you can list under the scholarship section on your CV (click here to read more about the CV). We call it “Writing/Image/Text” not just because it makes for a neat acronym, but because it signals that you can present on pretty much any topic, including on topics that involve visual texts and other types of texts. Anyone traveling from afar might consider either staying in a hotel near campus, or staying in New York City and taking the Metro North Hudson Line train up from Grand Central Station (there’s a train station right by the campus, and it’s a common train route that many of our faculty, staff, and students take everyday; takes about 45 minutes or so). For those traveling to walk at Commencement, it’s worth noting that if you’re staying in NYC you can take the Metro North Harlem line from Grand Central to the White Plains station which is right near the Westchester County Center, where Commencement is held (our graduation ceremony outgrew our Dobbs Ferry campus some time ago). It’s about a ten minute walk from the train station to the venue, and the majority of that ten minutes is just walking the length of the convention center’s parking lot. Hotels in the area range from boutique (such as The Castle), to a range of nice chain hotels (such as the Doubletree or The Marriot Springhill Suites). There’s rather a ton of hotel options about three or four miles north of Dobbs Ferry in Tarrytown. Do note that if you’re staying in any local hotel you would need some sort of vehicle to get to campus, and to get to Commencement if that’s part of your trip. The symposium was a lot of fun last year, and I expect it will be again this year. Think about coming. I’ve already heard from several of you who definitely want to read a paper, and that’s great. I hope to hear from more at cloots@mercy.edu. On Saturday, May 14th, a few MA students, alumni, family members, program faculty, and the Dean of the School of Liberal Arts gathered together at Mercy College for the 2016 Graduate English “Writing Image Text” symposium. The symposium took place in Maher Hall, the headquarters for the School of Liberal Arts on the college’s Dobbs Ferry campus. Below are a few photos from and information about the event. The two panels of presenters: seated, l-r, Dr. Miriam Gogol, Kit Gower, and Carol Mitchell; standing, l-r, Gloria Buckley, Nicholas Cialini, and Dr. Christopher Loots. Below, Dean Jhashi (left) watches the second panel of presenters along with Dr. Dugan and Gloria. Below, Kit and Carol prepare for their panel to begin. Presenting CAN be fun! All in all, it was an afternoon filled with collegiality, ideas, good conversation and laughter. All of us here in the MA program and the greater School of Liberal Arts would like to thank all of our panelists and their guests for traveling to come together for this event. We look forward to seeing some and hopefully all of you again, as well as seeing some new faces, at next year’s 2017 symposium. W.I.T. Symposium POSTPONED until next school year.